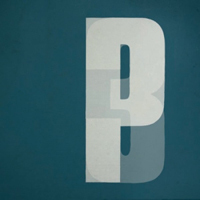 Portishead has always thrived on contradiction and the confounding of expectations, something evident from the very existence of their third album, straightforwardly titled Third. The band’s debut, Dummy, arrived so seemingly out of nowhere that it always felt a bit like an apparition, some ghostly thing that walked through the walls and cast its spooky spell over anyone who encountered it. Then, after their second album, they disappeared as eerily as they’d appeared, quietly fading away even while their first two albums continued to sound as vibrant and as vital as ever. And that’s another contradiction that’s always been key to the band’s success: Even though they work with cutting-edge technology, and even though the sound they pioneered on Dummy has been oft imitated, their music has always sounded completely out of time-a curious thing for electronic music. But then, the elctronica label has always been a bit of a reduction, and never has that been truer than on the long-awaited Third, an album that bears certain tropes and stylistic flourishes of electronica but incorporates such a wide array of sounds and styles as to be much richer and more complex than a one-word label could ever signify. The true brilliance of Third, then, is that for all the album’s technological wankery and its vaguely futuristic feel, its magic comes from its updating of tried-and-true forms of traditional songcraft, the way it filters jazz and folk and rock through the lens of electronica to create something genuinely original and not belonging to any particular time or tradition. Of course, music like this often takes on an otherworldly, even impersonal feel, but that’s another of Portishead’s glorious contradictions, more vividly on display than ever on Third; there’s an undeniable humanity to their music, partially because of the presence of familiar sounds and styles, but also due to singer Beth Gibbons’ tortured vocals and confessional songwriting. The music becomes a soundtrack for Gibbons’ peculiar brand of 21st century blues, as she gives voice to all the frustrations, all the rich mystery and dark beauty, of existence. And so even when the music is bleak-which it almost always is-there’s a sense of empathy lurking just beneath the dark shroud of gloom. And so, even as trip-hop becomes a thing of the past, Portishead’s music remains as vital as ever. Eleven years in exile hasn’t caused them to lose touch; in fact, they sound more focused, and more alive with the sheer possibilities of music, than ever on Third.